What are the Big Things that will Push Voice Over Internet Ptotocol in the Future? What are the Big Things that will Push VoIP in the Future? Voice Over Internet Protocol (VoIP) is the most popular among many enterprises, because of the benefits it offers to these organisations. Great advancements in this technology in a brief period of time has increased the demand for VoIP in the communications industry. Voice Over Internet Protocol now proves to be an inexpensive and high-quality voice calling technology. With the introduction of 5G technology and integrated apps in smartphones, the usage of smartphone apps has increased significantly. Mobile Apps provides users with a richer VoIP & Unified Communication experience (UC). Mobile VoIP apps are playing a significant role in providing telecommuting and work from home opportunities for workers. In many organisations, VoIP technology is very useful for the operation and management of client relationships. VoIP applications and cloud-based products are using an Application Programming Interface (APIs) for connecting Client Relationship Management (CRM) tools with VoIP Services. This collaboration will help organisations in achieving a higher level of efficiency and productivity, thus avoiding the previous complex procedures and operational redundancies. Better quality of call and decrease in problems like packet loss, jitter and interrupted connections. Future availability of 4K and 8K videos thus enhancing VoIP video and provide a rich experience in web conferencing. High speed will help in easy sending of video data. IoT is playing a significant role in the telecommunication field. IoT can be used in connection with VoIP which will enhance the workplace structure i.e. Smart Office. This will enable employees to remotely book working places, turn on or off lights and computers at a touch of a switch. 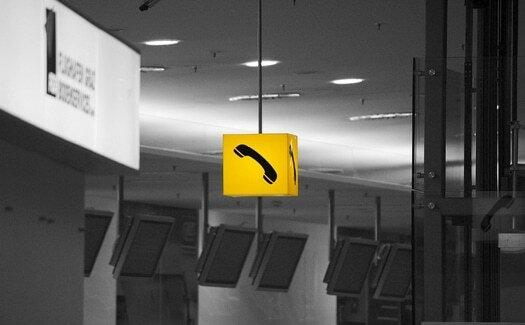 There would be many VoIP Smart Office applications in future. This is the latest trend in the communications industry. BYOD or Bring Your Own Device is the practice where employees can use their personal device for accessing the data and systems of the organization. BYOD connected with VoIP based application and services will help in boosting productivity, innovation, and collaboration in the workplace. VoIP technology offers enterprise-level support, hardware, upgrades, and features for companies. Hence it is a smarter choice for future business communications.